President Edgar Lungu says African countries can learn a lot from the expeditious dispensation of the Presidential Election Petition in Zimbabwe. ZANIS reports that President Lungu praised the Zimbabwean legal system for swiftly settling the presidential petition that had raised anxiety and political rifts between two major political groupings in the neighbouring country. Addressing journalists at Kenneth Kaunda International Airport in Lusaka today shortly before departure for Zimbabwe, President Lungu said the swift verdict is a demonstration of the effectiveness of Zimbabwe’s judicial system in administering justice. On Friday August 24, the Constitutional Court in Zimbabwe dismissed a presidential petition from the Movement for Democratic Congress (MDC) alliance challenging the election of President Mnangagwa in the country’s July 30 polls. The Zimbabwean constitutional court ruled that the MDC alliance failed to provide proof of electoral irregularities. In 2016, the opposition United Party for National Development (UPND) led by its leader Hakainde Hichilema petioned the outcome of August polls won by President Lungu of the Patriotic Front (PF). The UPND presidential petition dragged the course of the fourteen days provided by the constitution without being heard as it was punctuated by preliminary issues before it was tossed out. President Lungu said African countries should not be ashamed to learn from others especially Zimbabwe which has settled its electoral petition in record time. The Zambian Head of State encouraged African politicians to learn to respect and abide by the due process of the law. He urged Zimbabweans to maintain peace and build on the relative calm in the country. President Lungu is among regional leaders expected to attend the inauguration of President Emmerson Mnangagwa following the dismissal of the Presidential electoral petition by that country’s constitutional court. 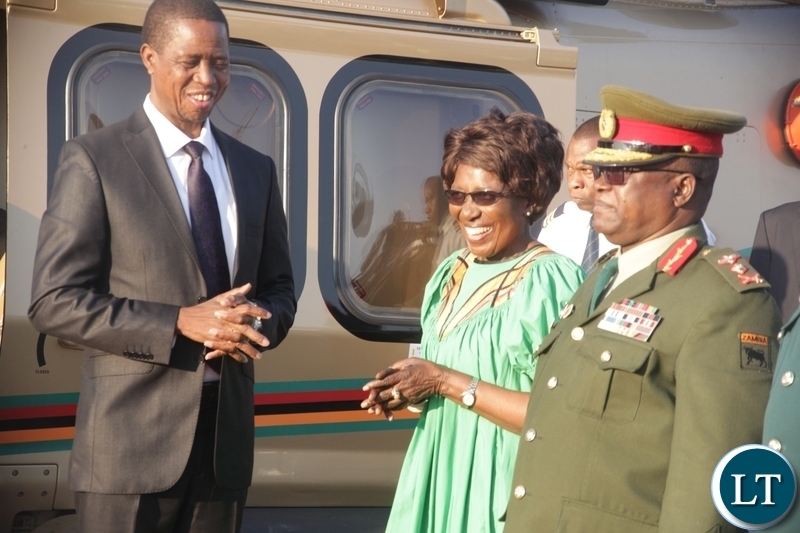 He was seen off by Acting President Inonge Wina, PF Secretary General Davies Mwila, Cabinet Ministers, Defence Chiefs, Lusaka Mayor Miles Sampa and senior government and party officials. President Lungu who is accompanied by Foreign Affairs Minister Joe Malanji is expected back in the country after the inauguration ceremony. President Munangagwa was confident of his electric win and did not object to any court process unlike you lungu. Look now , the 14 days you clang to has divided the country. If you truly won those elections lungu , what is 14 days ? 30 days ? For the sake of unity in the country….personally I don’t think you won those elections because the cost of that 14 day technicality is too great for Zambia but for you personally you got rich…. Here in Zambia and I don’t like it. It’s dusty and too many streets kids. Yuck. What he is saying I agree with him. He was duly elected and the majority of Zambians are happy with him at the helm. He is the right man even the next elections. No Mr President we have two examples to learn from Kenya and Zimbabwe! We choose the former and not the latter which is less objective. You’re so unbelievable, rabbits run to the hole and it’s understandably for not so cool rulers. I agree with MushOta. Why is Zambia so dusty? Is it because people including leaders don’t mind that dust? Is it because Zambian leaders don’t have the brains to stop that dust and accompanying illnesses? Is it because leaders are only interested in elections and nothing else? Is it because leaders spend too much time away from home and from the dust they don’t care? Ruling parties have mastered the art of rigging. 1. Announce all the results from opposition strongholds then play catch up over 3 to 4 days of slowly announcing from ruling party strongholds & swing states, manipulating ballots, G12 forms during transportation by ZAF & announce at midnight that opposition lead has been overtaken. SADC risks returning to a hub of civil war is was known for in the 80’s due to tribal politics by greedy ruling parties & loss of integrity of electoral bodies. Lets see if Ba Edgar will be saved with CONTEMPT of court as well upon arrival tomorrow. HH said almost same thing about the “ConCourt”, and Ba Mwanamwambwa is still furious and there is still hearing coming up soon. Both Kenya and Zimbabwe rate higher in education and respect for rule of law compared to the circus in Zambia. One could surmise that their paths to gaining independence could have helped shape their governance institutions. As history has a way of repeating itself tables will soon turn with Mnangagwa’s inauguration and Zambians will once again start trekking into Zimbabwe! How about learning from the Kenyan court on declaring a presidential election null and void therefore to be repeated afresh? Independent courts are more important than swift courts Lungu. This corrupt lazy rat would never mention the RSA or Kenyan legal systems. @Spaka. THE COUNTRY IS NOT DIVIDED. 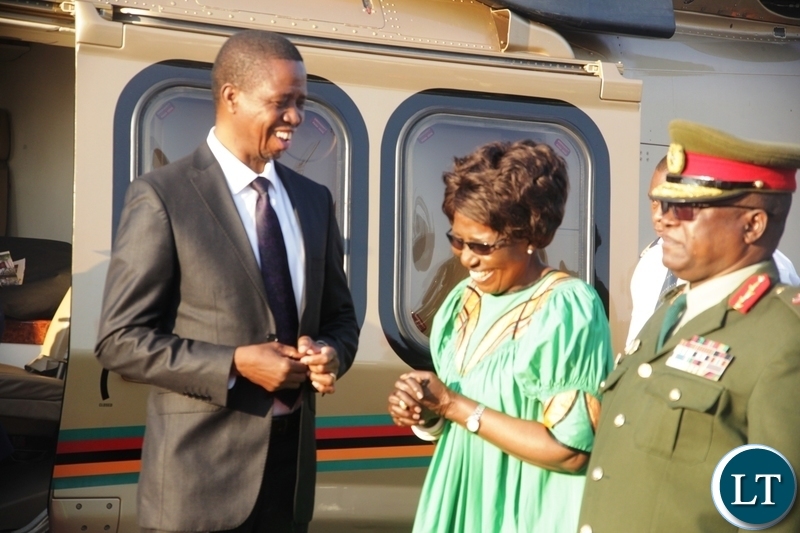 THE 6.5 PROVINCES THAT LOVE LUNGU ARE INTACT STABLE AND ENJOYING. HH TRIED TO DIVIDE THE NATION BY ALLEGING THAT HIS VOTES WERE STOLEN, BUT THEN FAILED TO GIVE EVIDENCE APART FROM WALLOWING IN HOLLOW PRELIMINARIES FOR 14 DAYS. THE LUSAKA MAYORAL ELECTIONS PROVED THAT THE CHAP ONLY HAS LESS THAN ONE THIRD SUPPORT. SURELY IF YOU WON HOW CAN YOUR POPULARITY SUDDENLY NOSE-DIVE IN LESS THAN 2 YEARS? According the the ECZ website lungu won by less than 100,000 votes , that is one township in Lusaka, how can 6.5 provinces give a majority of less than 100,000 ? You are talking of mayoral elections , voter apathy was the overriding factor..
Anyways that is past , you don’t see the divisions in the country ? President Lungu won by 50.8% and others failed to present there issues in court within 14 days to challenge the results. Well then it seems 14 days has united the country…..
Zambia social media has been corrupted by the opposition hence not serving the eureka purpose it does in other countries. Citizens are voting for pf en mass now because social media in Zambia is a UPND fake news platform to be ignored. If you are not discerning and take social media literally, you would be applying for asylum like Pilato decided. No hour passes without some invective or pHD statement or tweek from unpatriotic opposition. They wish for armageddon believing it’s worth ruling the storm and fire and kissing the ashes. In eygpt the illiterate majority voted in the Muslim brotherhood , because of eygpts strategic importance it had to take the USA to overthrow them , but Zambia is of no strategic importance so the west will watch Zambias illiterates vote the corrupt theives PF into perpetual power and mess up the country big time…..
How would they allow a convicted fraudster , ? Hes just a waste of time according to your assertion. ….Continued: The emergence of an independent judiciary in Africa, could enhance not only the region’s democracy but its stability and economic development as well. Securing the ballot papers is “irrelevant preliminary issue”? Only uneducated !mbeciles like you can make such 5TUPID comment. Did you listen to the Ruling of SCZ or you are just pretending to be knowledgeable (LoL)? @9 Really you sound like you have diarrhea. Try to base your arguments on facts not on your stomach and defending your darlings at all costs. This is the attitude that divides the country. Because of whoever you are, you think others are id!ots. We’re politically stable, who told you there’s turmoil here. Pay back the money you stole from Mazoka. He worked for it tirelessly. What about 3 Billion USD from Euro-Bonds? Who is going to return that SWOLLEN WEALTH? Endemically Corrupt Leader? Efyufwika ifipuba. Uyuntu chiwelewele. Ati mwalikwata intungulushi ichipuba. Eififine. BaLungu chiwelewele. Bufungufungu ubwalalike bamungulube insala. Upendi lacks stratagy and analyse. You mean the way MMD lost the presidency after winning all bye elections? That snapshot? O.K , let’s say , each of the 6 provinces gives a majority if 10,000 votes, —– that is also impossible / ridiculous?! Let us learn from Zimbabwe – actually , we are yet to learn a lot from that country – especially on how opposition politics are accepted. @Rhapsody: THE 100,000 VOTES ARE THE EXTRA VOTES BEYOND THE 50% THAT PF BAGGED. ITS WINNER TAKES ALL. Tarmac comments – that’s the trend. Wasn’t it only a few days ago that he was seen off and received by these same entourages at the airport? How much resources are being expended? Whether it’s for a few hours or a few days away, it’s the same wasteful send off and ‘welcoming’. No one in any meaningful position(s) has the b.alls to seriously question this misuse of resources. Impotent Parliament and docile civil society comes to mind. … We see all sorts of such cadres here on such threads. A cadre can be due to a tribe of alignment, and others can be due to hate for the other. We saw such in the Hitler era. We have them amongst ourselves. Beware. The solution is not to give them oxygen. Suffocate them. I’m sure we can also learn from Kenya… and while we are at it, we can also learn from Zimbabwe on how they got rid of Mugabe. Even better, let us learn from proper democracies like those in Europe, USA and India where there’s no rigging and thus no need for election petitions. Let’s not choose to learn lessons that are convenient to our little egos. So is he admitting that our legal system is flawed? Isn’t this what everyone else has been saying all along? What a coward and corrupt guy who happens to be an illegitimate president! Zimbabwean losing presidential hopeful Chamisa has stated that they will launch peaceful protests. Now protest against what? He lost the election, didn’t accept the result and went to Concourt. Concourt has ruled against him and that is final. So outside the electoral and judicial processes, he thinks that there is a third option, to protest? No bwana, next or third option is to contest again in the next elections 5 years from now, or is it 7 years in Zim? And Chamisa wants peaceful protests, how will he make sure hus protesters will be peaceful with chibuku and lutuku in their heads? Is he going to lead the protests himself? Answer is NO!!! Coward? Yes of course! ….and you will find a shocking record of tribalism, undemocratic practices (conventions suspended), dictatorial practices (hand picked candidates), know-it-all attitude. Ask yourself, did Chamisa go through a convention?? Instead of MDC looking to consolidate and reorganize by having conventions to choose leaders democratically and strategise, Chamisa wants to cling to power by organising worthless protests that will put Zimbabwe in electioneering mode until the next general elections. Sad. “President Lungu who is accompanied by Foreign Affairs Minister Joe Malanji is expected back in the country after the inauguration ceremony”. What a blank statement! Of course he’s expected back. Did you expect him to go to his country of origin, Malawi? The Courts have to open up and let public media report live on especially serious sessions like impeachment, electoral disputes, etc, so that their professionalism can be exposed to the whole world. Zimbabwe has lead the way let us follow stating with the impeachment motion which has been like dodging the court process.